Common Problems with Granite Flooring: Dirty Granite / Light Granite Flooring. Granite is probably the hardest stone found in your home, however it is not a common natural stone for flooring as it is harder to polish and restore and look after. Dark / Black Granite flooring can start to go light or have white areas which make the floor look unattractive. Outside Granite flooring can also get very slippery when algae is present. If there is a mix of Granit and Marble one may be shiney and the other dull. Granite can be cleaning however re-polishing is difficult due to the hardness of the stone. Honed or matt finished when cleaning with the correct solutions and sealed correctly will look stunning again. Highly polished Granite flooring will be inspects by Bond & Sons before a quotation can be raised..There are polishing systems which can also cope with a mix of narutal stone, so if you have a Marble Floor with Granite these can be cleaned, polished and sealed together making the whole floor look great again. Please note standard diamond pad systems will not polish granite so it need to be a hybreed system which is what Bond & Sons would use. Granite has a variety of finished for flooring purposed these include, Honed, Brushed, Flamed or Thermal, Tumbled or Antiqued. Granite needs sealing correctly to protect it and help it repel water, dirt and debris from getting into its pores. There are different seals depending on which finish your stone has. 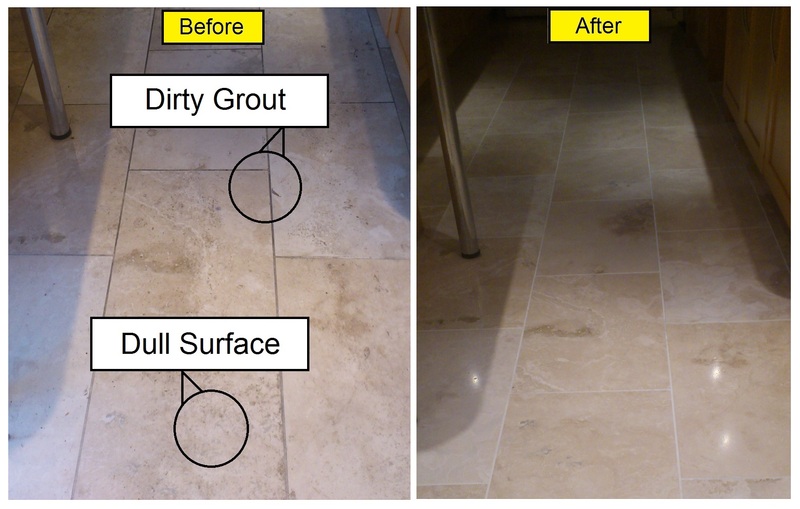 Why Use Bond & Sons, Stone Floor & Tile Cleaning For Your Granite? Simple, experience and the right process. 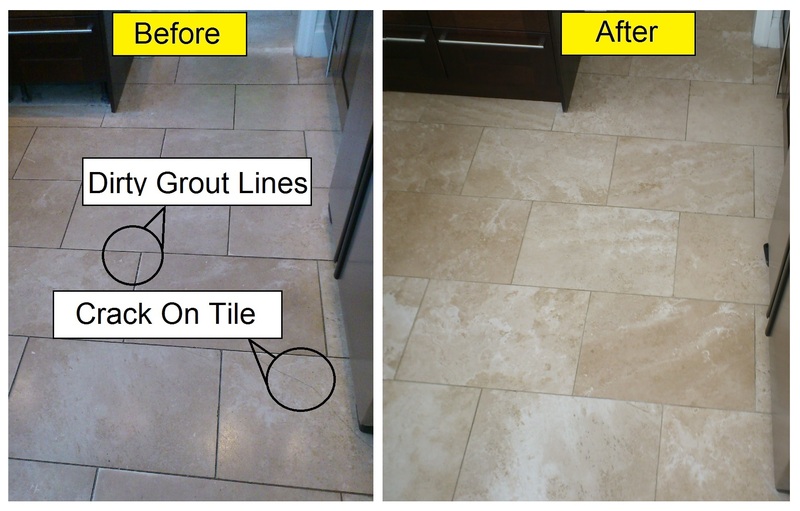 Bond & Sons have developed their own process which brings your Limestone flooring back to life and will keep it that way for longer. They are not franchised, tied to any one process, system or supplier so they get the right mix of the best ingredients to ensure the work is carried out to get the best results. Granite is widely used for used for worktops however it is also used for flooring, it is also used to cover walls. A huge variety of colours and flecks or effects can been purchased. The darker the Granite the tighter the pores and the harder the stone it, the lighter the softer. As with Marble there is a vast variety of types of Granite and far too many to name, just check our your local kitchen company for just a sample of what is available.